This month in Tokyo, a voice actor museum opened. It claims to be the first of its kind. 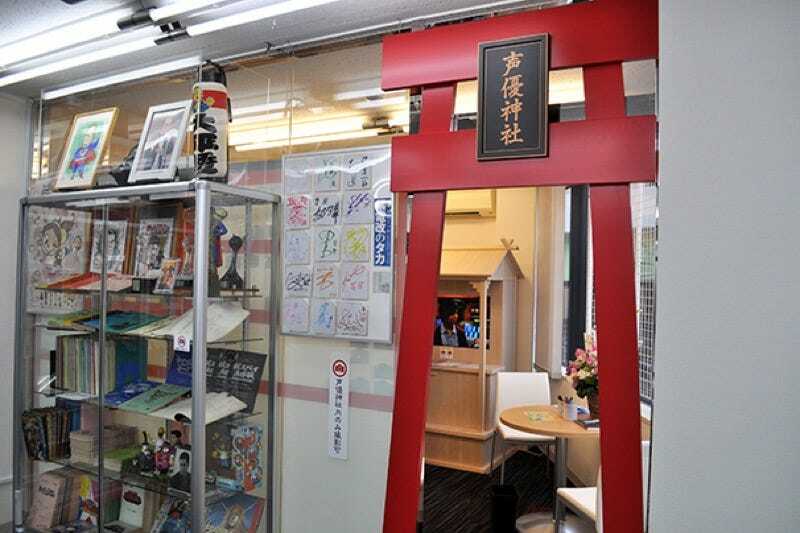 It houses anime scripts and various memorabilia. But the most interesting part of the museum is a Shinto shrine dedicated to voice actors. In Japan, voice actors (seiyuu) also release pop music albums, write books, and some of them are quite well-known. When a famous voice actor dies, it’s national news. Website Kai-You visited the Seiyuu Museum, which doesn’t allow photos. If you are thinking of visiting, these pics should give you an idea of what to expect. The Voice Actor Shrine houses a Sony mic that over six thousand voice actors used at Half HP Studio. For those hoping to visit, you can find directions here.